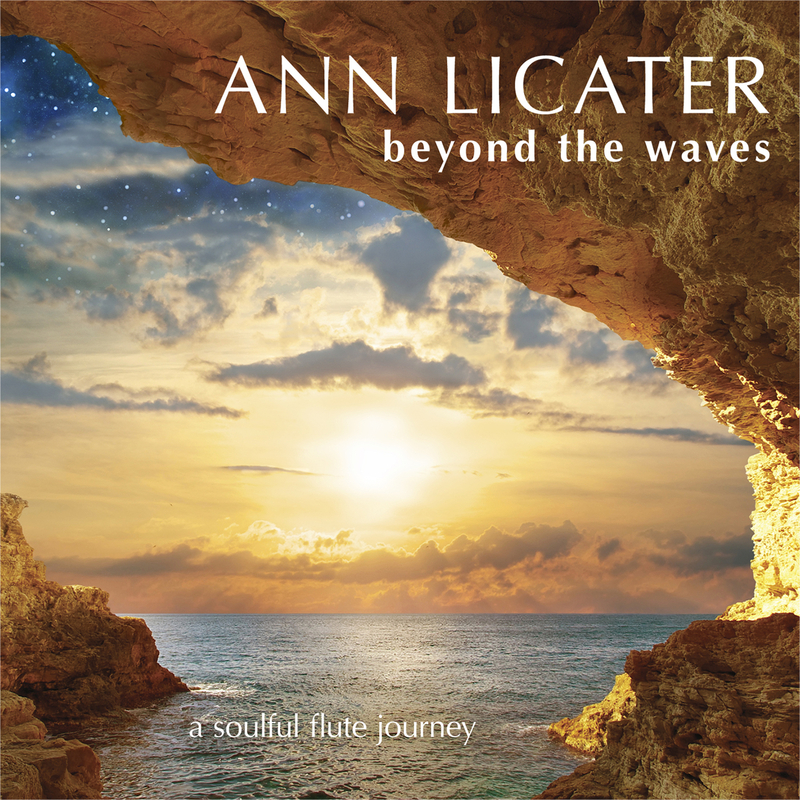 Ann Licater is an award-winning recording artist, world flutist, producer and composer who has released four albums prior to her latest effort Beyond The Waves. She features wood, clay and silver flutes in her music, and has also created and facilitates “Flute for the Soul” workshops, where she plays Native American and world flutes as tools for personal discovery. What you get is flute for the soul, and food for the soul all in one package. The flute is a mystical instrument in many cultures. The sound is beautiful and alluring. It connects you to a spiritual place; one that is weaved into mother earth. 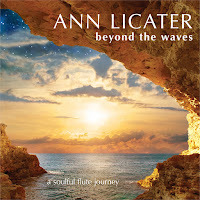 I found Ann to be an exceptional flautist and the mixture of other instruments in the tracks give it a more worldly sound with a definite new age touch of class that makes it so appealing to the mind, body and spirit. From “Rhythm of the Stars” to “Ocean Lullaby” one track seamlessly flows into the next. Guitars, pianos, tinkling bells, vocalizations and more add to the overall ambiance and musical culture delivered to your ears by a collection of extraordinary artists. At times it felt like I was walking on a path to the ancient Mayan temples, mesmerized by the beautiful sound and letting it lead me there. Great music enables you to envision many things and while listening to this recording it was an easy transition to see what my spirit wanted me to see. Every track is a gorgeous symphony of earthy tones and spirituality. It all serves a higher purpose if you allow the music to sweep you away into another dimension. I found it quite easy and natural to do so and it was a matter of a few seconds before I was immersed in all of the wonderful sound and atmosphere. Normally, I focus on at least three tracks to give folks a good taste of what to expect however I think my previous words puts it all into proper perspective. This is a masterful recording of varied forms and textures of flute music. Beyond The Waves is must have if you are looking to meditate, relax or need to go on a journey of self-discovery to find an answer that lies within. This music is your passport there and one that never expires.